Unpack + Organize = Unpackanize! We are more than just unpacking help. 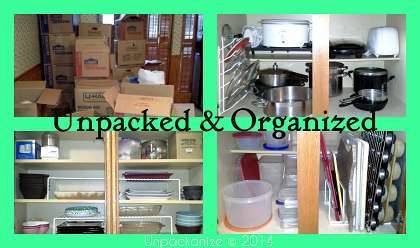 Unpackanize© is a segment of Katy Home Organizer for people who have just moved. Yes, we unpack and we set up organizing systems right from the start, resulting in a truly organized home. Moving is stressful; we reduce that stress by being the light at the end of the tunnel! What is different about Unpackanize© ? The Unpackanize© unpacking team of professional home organizers unpack and organize as they empty the boxes. Some moving or house-packing companies will offer unpacking help, but really they simply take items from the boxes and stick them in a drawer, on a shelf or even on the floor! Katy Home Organizer’s Unpackanize© unpacking service helps you move into your new home quickly, by organizing your personal belongings as you would use them in your new home. 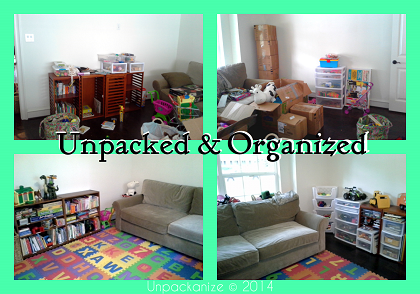 Our Unpackanize© unpacking service creates organizational systems right from the start in your new home or apartment. Not only will you enjoy having your entire home unpacked within days of moving in, but you’ll be amazed how the organizational systems we put in place help you maintain a clutter-free home for years to come. Unpacking help is great and when combined with an organized plan it offers the greatest benefits. Let Unpackanize© make the most of the space, blending “yours and mine” with ease. We reduce the frustration and anxiety merging households can bring. Let our organizers set up systems that benefit all family members while keeping everyone’s needs in mind. We’ve helped many newly single men and women set up their households. Not only do we unpackanize kitchens, pantries, offices, closets, and more, we can hang pictures, arrange furniture and make your home feel like a home. If you recently transferred from out of the area, your moving expenses may have been covered, but did it include unpacking and organizing? Working 40+ hours a week leaves little time to unpack, and often you need to hit the ground running once you get here. We help busy executives get settled right away so they can focus on work and building a new life. Unpackanize© is just the ticket for assisting the baby boomer generation. As it gets more difficult (and less fun) to unpack and put everything away, we are happy to help. You deserve it! It starts first with a call to discuss your specific needs and then with an in-home consultation to see how much stuff you really have, then we can gauge how long it will take. We’ll discuss what rooms you want handled and in what order. Once the estimate is accepted, we’ll schedule the Unpackanize© sessions on the day(s) that work best for you. Speak with us about decluttering your home BEFORE moving to make the moving-in process easier! Do I have to Unpackanize© my whole house? Nope! We will unpackanize only the rooms you want. You may also choose to unpack yourself and then have our Professional Organizers come in and organize it all for you, creating those systems right away. Maybe your movers unpacked for you and it doesn’t make any sense; allow us to organize your trouble spots to get your home functioning right. It is our job and our pleasure to help you make the most of your move while reducing the stress as much as possible. Give us a call – share with us your needs and we will create an unpackanizing plan just for you. How do I learn more about organized moving and unpacking help? 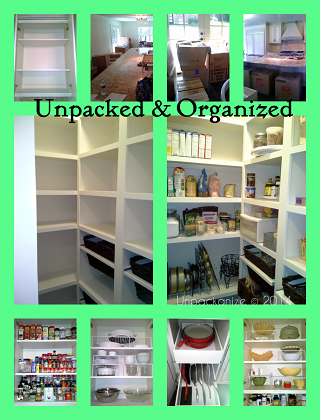 The best way to learn more about Unpackanize© and any of our other professional organizing services is to call Katy Home Organizer at 832-978-1482 or drop us a line using our contact form – and be sure to put Unpackanize in the header! Still unsure, give us a call or read our reviews and testimonials.